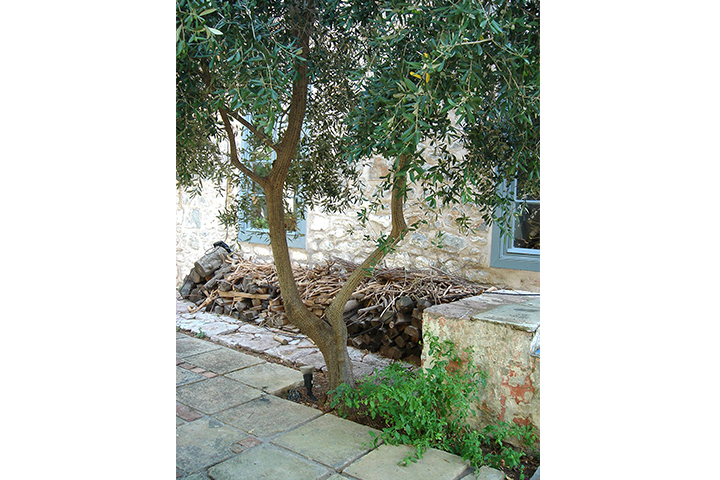 I was invited to Hydra in Greece in 2006 by curator Dimitrios Antonitsis to make a project on the island. 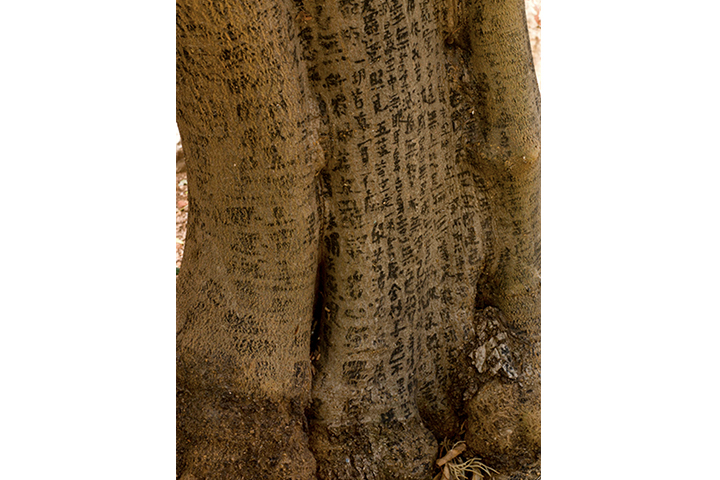 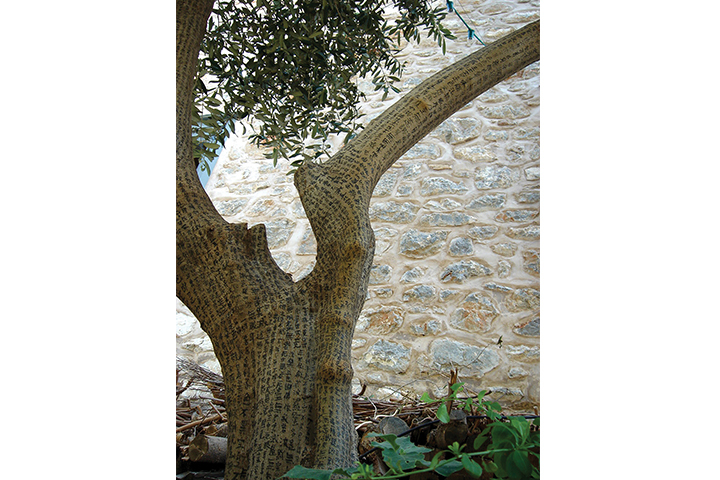 I chose a beautiful olive tree with a smooth surface and wrote on it the Heart Sutra, a Buddhist text that I have memorized since growing up in Taiwan about impermanence. 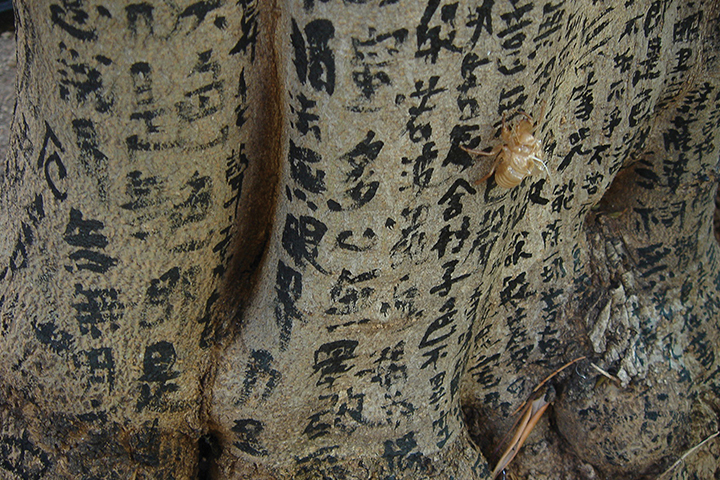 Since the climate of the island is very dry, the characters remained and continued to grow with the natural growth of the tree for a few more years after the project has been completed.